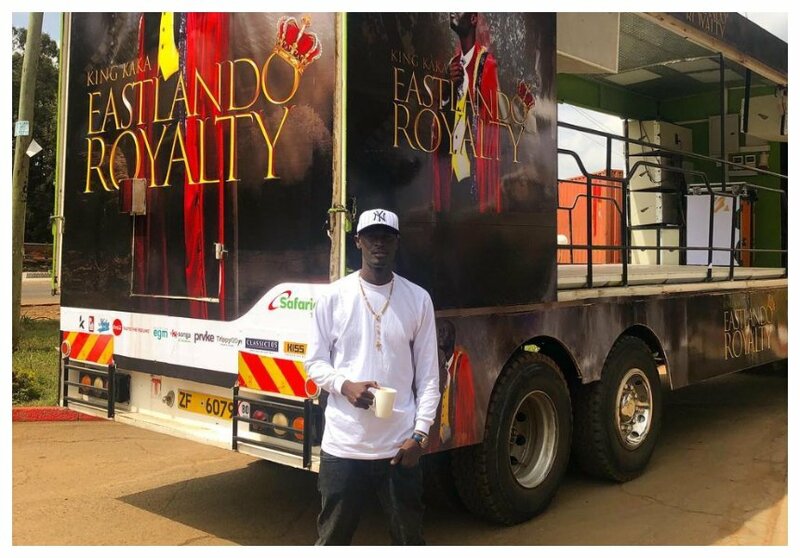 King Kaka is promoting his new album ‘Eastlando Royalty’ ahead of official launch in November. The rapper is already raking in money from the album even before the launch. Of the four previous albums released, Eastlando Royalty will perhaps be the most successful album for King Kaka. The new album has 18 songs and also features celebrated American rapper Talib Kweli and comedian Tracy Morgan. Eastlando Royalty is due to be launched in November at an event sponsored by Songa by Safaricom. The album’s cover was professionally done by Pointblank and painted onto a canvas by Eliamin Ink. 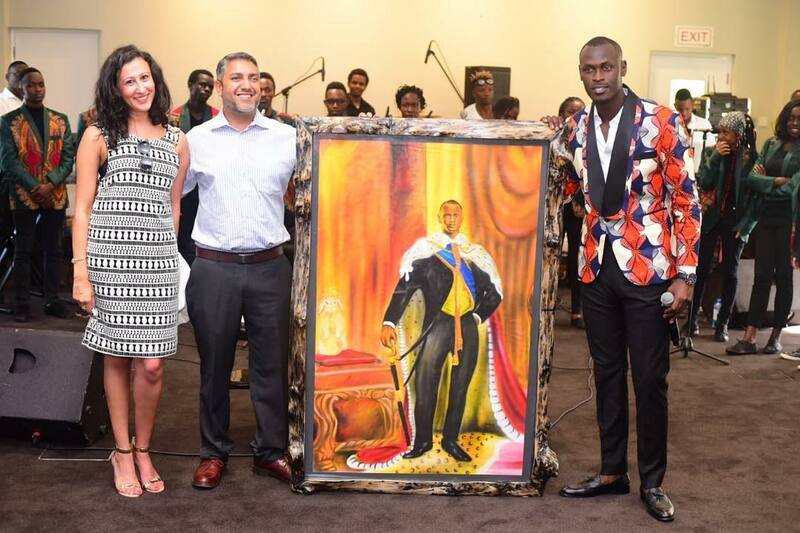 Last Saturday October 20th, King Kaka auctioned Eastlando Royalty album cover at a whopping Kes 32,000 during a cocktail event in Nairobi. The proceeds of the album’s cover auction will go towards the King Kaka Sanitary Bank Campaign that aims to keep 100,000 girls in school. “Another Win!!!!! Yesterday we managed to have another first in Kenya, We unveiled my album Eastlando Royalty Album Cover , And in the process we auctioned the painting and all proceeds will go to the King Kaka Sanitary Bank Campaign, 533 girls will not miss school for a whole term. Asante to everyone who made jana possible,” wrote King Kaka after the auction.